New Door Ventures, an $7M innovative and outcomes-driven nonprofit serving disconnected youth in the San Francisco Bay Area, seeks a Director of East Bay Programs to help lead the organization’s continued expansion to the East Bay, specifically in Alameda and Contra Costa Counties. The Director will develop and implement a strategic expansion plan, refine the budget, hire and manage local program staff, effectively fundraise, and establish strong local relationships with service providers, program partners, influencers, civic leaders, and educators within the community. This entrepreneurial leader will join a robust and high-performing team of over 50 staff across the organization’s programs and social enterprises. New Door uses an evidence-based approach to youth development that is focused on culturally responsive and holistic employment and education support. The organization provides meaningful paid jobs, intensive case management, skill-building workshops and educational supports which enable young people to discover and achieve their potential. The internship program includes partnerships with over 60 community businesses and two in-house social enterprises: Ashbury Images and Pedal Revolution. The ultimate goal of New Door’s work is that young people will leave a path of disconnection and make a successful transition to adulthood that is marked by sustained employment and positive community engagement. New Door aims to support the transformation of individuals, who in turn, will transform their communities. After more than two decades of successful and evidence-based service delivery in San Francisco, the organization has successfully launched three program sites in the East Bay. 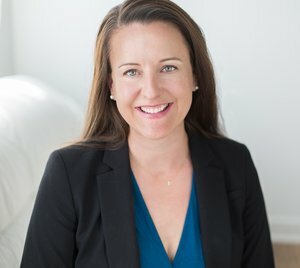 The Director of East Bay Programs will join New Door at a critical moment of growth for the organization, with the continued implementation of a strategic expansion plan that is relationship-based, community-informed, and responsive to the economic and demographic shifts in the region that are impacting opportunity youth. Reporting to the Chief Program Officer and working closely with members of the San Francisco Program Team, the Director of East Bay Programs will implement consistent programmatic elements with fidelity (and select adaptations as approved) to New Door’s model, coordinate outreach to local business partners, develop new institutional funder relationships, and support board engagement with local programming. The ideal candidate will be a self-motivated and accountable leader who demonstrates effective management and fund development capacity, comfort working in an adaptive and innovative work environment, superior communication and interpersonal skills, and a commitment to advancing equity and personal integrity.